Latest Football News, Soccer Results, Goals, Transfers talks and Rumors: Who next for the 'Impossible Job' as England coach? Who next for the 'Impossible Job' as England coach? NICE, France - Wanted: Someone to turn around the fortunes of soccer's most consistently underperforming international team. England was beginning its search for a new coach Tuesday after Roy Hodgson's departure following the team's latest embarrassing exit from a major tournament, this time at the hands of tiny Iceland at the European Championship. And there aren't too many obvious candidates for a role often labeled "The Impossible Job." Gareth Southgate, the coach of England's under-21 team, is an early if underwhelming favourite to succeed Hodgson. There's talk of Sam Allardyce, Alan Pardew and Eddie Howe — all current Premier League managers and all from different parts of the age spectrum. But the list of genuine contenders is short, considering that being the manager of England is usually the highest-paid coaching role in the international game. The English Football Association on Tuesday didn't rule out the possibility of a non-English replacement for Hodgson and insisted that root-and-branch reform isn't necessary. "We'll be looking for the best person for the job," said the FA's CEO, Martin Glenn. "We need a new manager. We don't need to throw the baby out with the bathwater. There are a lot of good things that have been done." Trying to predict what course the FA will take is not easy. Since 1999, when Kevin Keegan was hired and then fired 18 months later, the FA has swayed from English to foreign coaches — Sven-Goran Eriksson, Steve McClaren, Fabio Capello, and then Hodgson. Each of those coaches brought a different approach, experience and identity to the job — a sign of the lack of long-term planning the FA is often accused of, and which it has tried to address by building the sprawling National Football Centre in central England in 2012. It is supposed to be the base from where England's most talented young coaches are brought through, but that will take time. 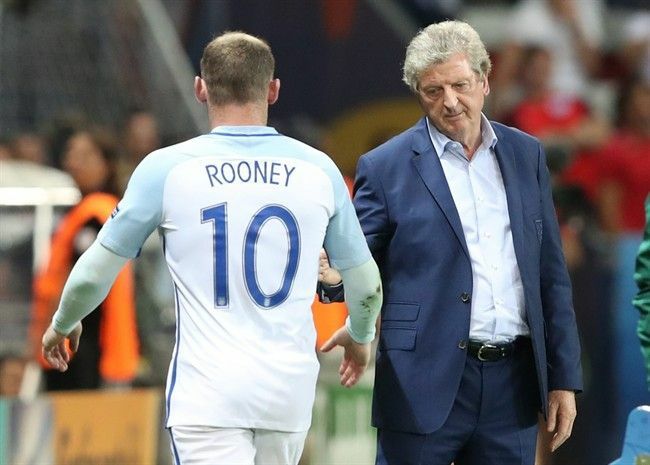 Hodgson's legacy with the national team will be his two major failures at international tournaments — the 2014 World Cup and now Euro 2016 — but also how he brought many young players into the squad. The average age of England's squad was the second youngest at Euro 2016. So if England wanted to have a seamless transition into the post-Hodgson era, Southgate might be the best bet. The man who famously missed a crucial penalty in England's shootout loss to Germany in the Euro 1996 semifinals has coached one club — Middlesbrough — and was fired after three years, following its relegation from the Premier League. Widely seen as an "FA man" and one of English soccer's nice guys, Southgate has repaired his coaching reputation during his three years with England's under-21 side and led the team to a first title in 22 years at the Toulon tournament this year. He will know many of England's current squad but the general feeling is that he lacks the knowledge and experience for such a prestigious and pressurized position as England coach. The larger-than-life Allardyce, currently the manager of Sunderland, has always wanted the England job. The 61-year-old coach has over-performed in fire-fighting roles with a number of average Premier League teams (Blackburn, Bolton, Sunderland) and deserves more praise for his tactical insight than he's often given. He is also regarded as a pioneer of analytics and stats-based thinking in English football. "Big Sam," as he is known, looks to have a better chance than Pardew and Howe, who are the managers of Crystal Palace and Bournemouth, respectively, simply due to his coaching experience. And if experience is what the FA hierarchy after, they could do worse than try to entice Arsene Wenger. Criticism of the Frenchman is growing among Arsenal's fan base after 20 years at the London club, and Wenger could be tempted by a first international job, perhaps the final one of his career. The FA will look to have its new man in place well in advance of England's next match, a World Cup qualifier away to Slovakia on Sept. 4.